How do you perfectly toast any slice no matter what type of bread? Add an extra 30 seconds for well that little bit more. 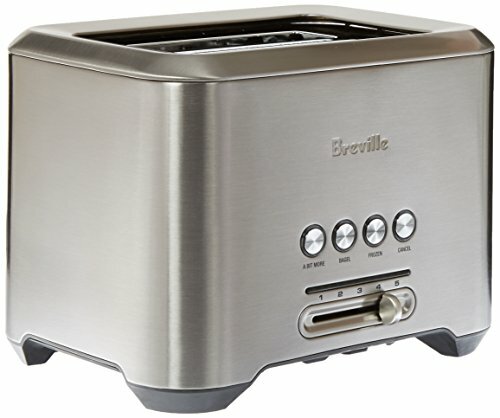 The Breville BTA720XL Bit More toaster also features a 'Lift & Look' Lever which raises and lowers the carriage to show the browning progress without interrupting the toasting cycle. Additionally, the high lift feature raises the carriage approximately a 1/2 inch making it easier to remove smaller items such as English Muffins.